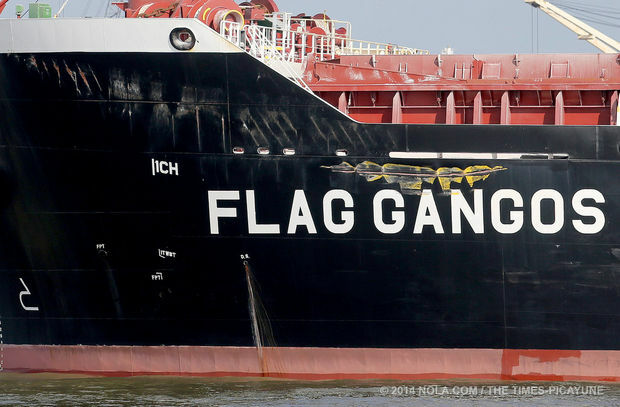 The 185 meter long bulk carrier Flag Gangos collided with the tanker barge Web 235 and the 229 meter long tanker Pamisos on the Mississippi River near Gretna, Louisiana. 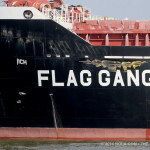 The Flag Gangos had lost power and steering and struck the Web 235 as it was offloading fuel oil at an oil terminal. The Web 235 broke free causing some fuel oil to be spilled into the river. 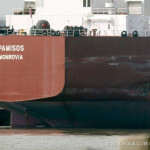 The Pamisos was struck near the stern sustaining some hull damage. 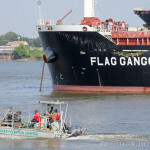 The Flag Ganos suffered a large hole in its bow while the Web 235 sustained hull damage. No reports of injuries. The Coast Guard has launched an investigation into the incident. The tanker Swift Dolphin capsized off the coastline of Suriname near the entrance of the Corentyne River. The Swift Dolphin was returning from Paramaribo, Suriname to Guyana when the vessel capsized. Two crewmen were rescued by a nearby vessel. The other two crew on board were reported as missing. Authorities launched a search and rescue effort to find the two missing men. No further details reported. 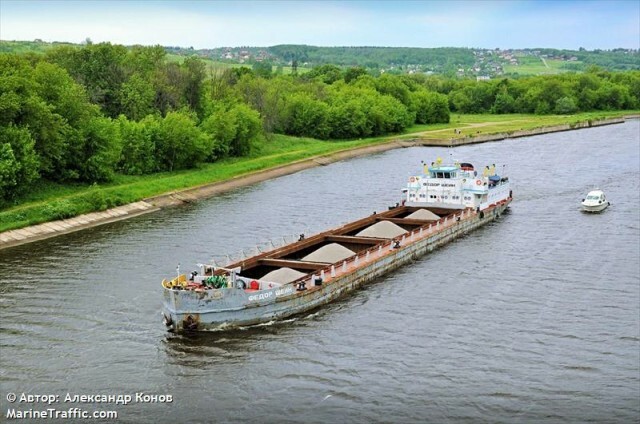 The 94 meter long general cargo vessel Fedor Shein ran aground on the Volga-Baltic waterway near Cherepovets, Russia. The vessel was hauling scrap metal when it grounded near the confluence of the Volga and Yagorba rivers. No reports of injuries and no leaks were found. The tug Captain Vorontsov was dispatched to refloat the Fedor Shein. Authorities are investigating the incident.